Bus Accidents: How Do Settlements Work? A trial is but one of the ways through which a bus accident lawsuit can be settled. Most bus accident cases will never reach the trial stage because the parties will agree to settle the lawsuit out of court. In fact, some estimates claim that over 9 out of every 10 lawsuits filed in the United States – civil cases as well as criminal cases – will be resolved through some sort of settlement agreement. Settlement agreements have some advantages to them as ways to resolve pending lawsuits. Because a settlement is usually entered into in advance of trial, a settlement can save litigants resources and money that would have been spent on evidence, testimony, and attorneys’ fees at trial. Settlements also provide certainty for litigants who may not have been confident about their chances of success at trial. A settlement offer can be proposed by any party to a lawsuit at any time. If there are more than one injury plaintiff in a lawsuit, or more than one defendant, a settlement can encompass all of the parties or be between certain plaintiffs and certain defendants. Parties are usually free to craft the terms of a settlement to suit their needs and desires: only illegal terms or unconscionable terms will be disapproved by a court. Once a settlement agreement is entered into and signed by the applicable parties, it becomes a binding contract that the parties must adhere to. Once a settlement agreement is signed, it is difficult to withdraw from the agreement unless there is evidence you were somehow taken advantage of or dealt with unfairly. The settlement agreement involves an agreement by the defendant (or multiple defendants) to pay a certain sum of money (the “settlement amount”) to the plaintiff or plaintiffs. In exchange for this agreement, the plaintiff(s) agree not to pursue any lawsuit against the defendant(s) based on the injury incident. This may not necessarily preclude the plaintiffs from seeking compensation based on other negligent incidents. For example, two members of a family riding two different buses owned by the same bus company that are injured in two separate crashes may settle both cases or only one of the cases. In case only one incident is settled, the other injured family member may still pursue compensation for his or her injuries through a lawsuit. Settlement agreements will spell out the terms of payment with which the defendant must comply. The defendant may agree to make a lump-sum payment, which is one or two large payments that satisfy the obligation. Or the defendant may agree to make periodic payments, which would be a lower monthly payment paid over a longer period of time. The parties can agree whether interest should be added to the unpaid amount each month, whether any penalties should apply in case a payment is missed, and whether the defendant can pay the obligation off early. Settlement agreements also usually include clauses in which the defendant and his or her representatives (like an insurance company) deny any liability for your injuries. This protects the defendant from having a settlement used against him or her by another plaintiff injured in the same bus crash that you were injured in. The settlement may also require the parties to keep the terms of the settlement, including how much the defendant paid under the settlement, a secret. Although most people have heard of a settlement, many do not understand their purpose or how they work. 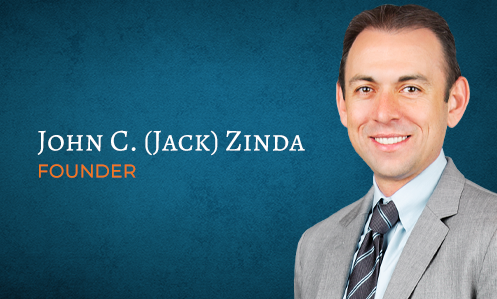 At Zinda Law Group, we help our clients understand the settlement process, evaluate whether they want to pursue a settlement of their bus crash claim, and (if so) negotiate the most favorable terms possible. See how we can help you get compensation for your bus accident injuries through a settlement by calling us at (800) 863-5312 and setting up your initial consultation.